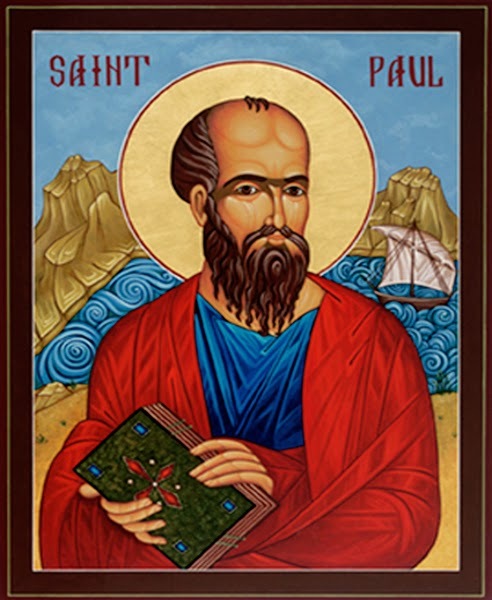 Sermon for the Conversion of St. Paul: "The Apostle Formerly Known as Saul"
In countless movies and books, death and resurrection is the key to the story: Mr. Spock in Star Trek III and IV. Emmet in The Lego Movie. Harry Potter’s defeat of He-Who-Must-Not-Be-Named…twice. Gandalf’s return in Fangorn Forest after battling the Balrog. 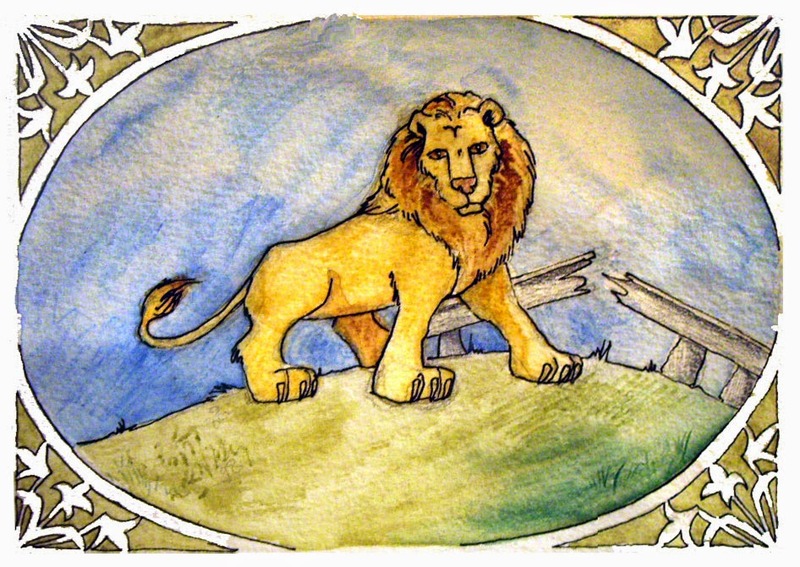 Aslan died and rose to save Narnia from the White Witch’s curse. Or remember the Beast from Beauty and the Beast, Snow White, Sleeping Beauty, and even Baloo in the Jungle Book. These death and resurrection stories gives us a glimpse of the greatest death and resurrection story: Jesus Crucified for you and your salvation. Jesus’ death and resurrection is greater because it is both meaningful and true. It is history: Jesus was crucified, died, buried, and rose again for you. This was the sum and substance of St. Paul’s preaching after his conversion. Today’s festival – The Conversion of St. Paul – is also a death and resurrection story. After all, every time the Holy Spirit creates faith there’s a death and resurrection. Your Baptism is a death and resurrection in Jesus, just as Saul’s was. 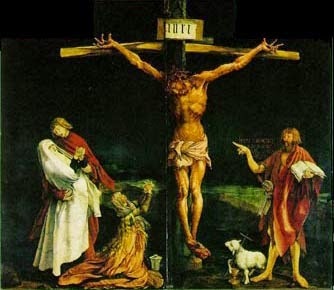 Christ crucified is the sum and substance of our faith as well. So we celebrate St. Paul’s conversion, not because he accomplished so many great things, but because Jesus brought death and resurrection to one who was such an enemy as Saul. He was made dead to sin, but alive by the Word…and made alive for the preaching of this gracious Word to the world…and to you. Today we join St. Paul in rejoicing in and proclaiming Christ crucified and risen for us. For Jesus has also brought us back from the dead. That’s precisely where Paul’s story begins. No doubt he felt alive, heading down that Damascus road breathing threats and murder against the disciples of the Lord. The high priest gave him a license to persecute. Then suddenly a blinding light. Heaven flashed before his eyes. Saul fell to the ground as a dead man. And the voice of Jesus rang out in his ears. “Saul, Saul, why are you persecuting me?” And he said, “Who are you, Lord?” And he said, “I am Jesus, whom you are persecuting. Saul probably thought he was going to die. But there’s the irony. Saul was already dead — dead in trespasses and sin as he would later write in Ephesians 2. His mouth was an open grave that spewed forth curses, bitterness, and deceit (Romans 3) against Christ and Christians. He was blind – spiritually – and for three days physically as well, to show all the more clearly the blindness of sin, and more clearly still that faith is a gift, not of works so that no man may boast. On the Damascus road Jesus took all of Saul’s boasting in the Law, confidence in the flesh, and zealotry, and revealed it for the rubbish it truly was. Saul, who had so violently warred against Jesus and the Way, became utterly and completely dependent, like a newborn infant. Rise and enter the city, and you will be told what you are to do, Jesus said. Saul couldn’t even do that on his own. The men traveling with Saul led him, blind and helpless into Jerusalem, to Ananias. Saul’ conversion is a marvelous picture of how our Lord converts all of us. Like Saul, we were enemies of God. The wages of our sin is death. We breathe threats and murder against our neighbors. No, probably not with physical violence. But Jesus makes it clear that whenever we hate or despise our brother, we have already murdered them in our hearts. And though probably haven’t participated in any stonings lately, like Saul at the death of Stephen. No doubt, we’ve tossed more than our fair share of rocks in judgment at our family, friends, even our brothers and sisters in Christ. There’s a little Saul in each of us who delights in doing whatever we think is right, and doing it with great zeal. Like Saul, though our sin offends and harms others, including ourselves, we chiefly offend and persecute God with our sin. We’re right there onthe road with Saul. Enemies of God. Blind. Helpless. Uutterly dependent. Dead…and in need of resurrection. And that’s precisely where your story begins. You were dead in trespasses and sin (notice the past tense)…But God, being rich in mercy, because of the great love with which he loved us, even when we were dead in our trespasses, made us alive together with Christ. The wages of our sin is death, but the free gift of God is eternal life in Christ Jesus our Lord. You were blind, but now through Baptism the scales of doubt and unbelief have fallen from your eyes and you see Christ your Savior with the clear eyes of faith. Rejoice with Paul for “Christ Jesus came into the world to save sinners, of whom I am the foremost" (1 Timothy 1:15). In Saul’s conversion, we see our own. We are utterly dependent upon God’s mercy, completely helpless on our own. Perhaps we haven’t all had a dramatic experience like Saul, but Christ gives us faith in Him the same way: death and resurrection. Brother Saul, the Lord Jesus who appeared to you on the road by which you came has sent me so that you may regain your sight and be filled with the Holy Spirit.” And immediately something like scales fell from his eyes, and he regained his sight. Then he rose and was baptized; and taking food, he was strengthened. By the Lord’s Word and Baptism, Saul was raised from the dead. And if Jesus could be such a Savior, to save one who approved of Stephen’s murder and persecuted His church - how much more can He save you. If Jesus saved Paul, who says that he was the chief of sinners, then how much more will Jesus be the chief of Saviors for you. Today we rejoice and give thanks, not because it’s all about Paul, or you, or me. But because the same Jesus raises you from the dead. What happened on the road to Damascus was nothing short of a miracle. Jesus turned Saul into St. Paul — an enemy of the Gospel into a bold preacher of the Gospel. Jesus performs the same miracle upon you in Baptism. We are all “Sauls” according to our sinful nature. Dead in sin and unbelief, and rebels against God. But Jesus’ death and resurrection was poured out upon you in the waters of Holy Baptism. The font is your Damascus road. You were dead and now you’re resurrected. In Baptism you receive new birth, and a new name too. Holy. Saint. You are called and chosen by God. First as His holy child. And then called to serve others: in the home, church, workplace, community. Christ takes us, with all the baggage of our past, anoints us in Baptism, and sends us into the world to declare the praises of Him who called us out of darkness into His marvelous light (1 Peter 2:9-10). He sends you to declare to family, friends and neighbors that Jesus, the Son of God, was crucified for chiefs sinners like us. For there is no sin or wickedness so great that it unpaid by the blood of Jesus. Jesus’ death is greater than Saul’s sin, yours and mine. So rejoice this day. For the salvation and eternal life won for you by Christ, are delivered to you the same way they were delivered to St. Paul. Faith comes by hearing and hearing by the Word of Christ (Romans 10:17). In Baptism, God saves us through the washing of regeneration and renewal of the Holy Spirit (Titus 3:5). Jesus feeds us His own body and blood. 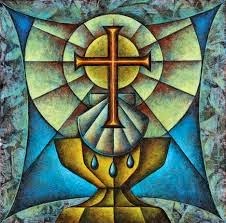 And as often as we eat the bread and drink the cup, we proclaim the Lord’s death until He comes (1 Corinthians 11:26). Like Saul, you are baptized into Christ. You are dead to sin and alive in Jesus. So, come to the Supper. Eat the holy food of Christ’s body and blood and take strength in the forgiveness of sins. 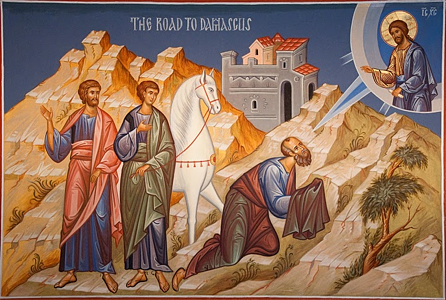 In preparing for this week's sermon for the Festival of St. Paul's Conversion I was struck by the overt death and resurrection references in Luke's account of Saul on the Damascus road in Acts 9. Now as he went on his way, he approached Damascus, and suddenly a light from heaven shone around him.4 And falling to the ground he heard a voice saying to him, “Saul, Saul, why are you persecuting me?” 5 And he said, “Who are you, Lord?” And he said, “I am Jesus, whom you are persecuting. 6 But rise and enter the city, and you will be told what you are to do.” 7 The men who were traveling with him stood speechless, hearing the voice but seeing no one. 8 Saul rose from the ground, and although his eyes were opened, he saw nothing. So they led him by the hand and brought him into Damascus. 9 And for three days he was without sight, and neither ate nor drank. ...“Brother Saul, the Lord Jesus who appeared to you on the road by which you came has sent me so that you may regain your sight and be filled with the Holy Spirit.” 18 And immediately something like scales fell from his eyes, and he regained his sight. Then he rose and was baptized; 19 and taking food, he was strengthened. Paul's conversion is a death and resurrection story. And in reality, so is every conversion, whether it was an awe-inspiring experience like Paul's or not. Dead to sin and alive in Christ. Not only is there drama in the dogma, as Dorothy sayers teaches us, but there's nothing more dramatic than Holy Baptism, where Jesus does for us what He did for Saul. Baptism is your Damascus road. 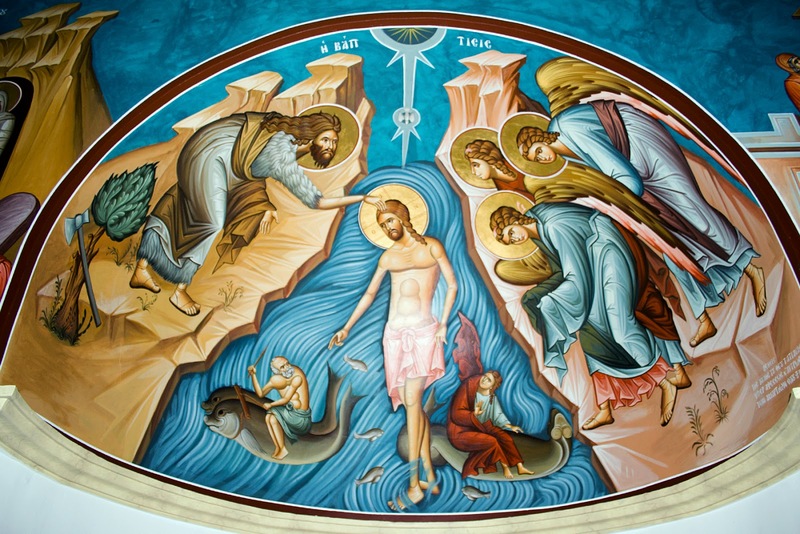 Baptism is your death and resurrection. Heaven opens. The Light of the world dispels our darkness, sin, and death. And Jesus raises us to new life as the scales of unbelief fall from our hearts as we're given a new heart. Our death and resurrection, just as it was for the Apostle formerly known as Saul, is founded upon the greatest death and resurrection story of all time: Jesus' crucifixion and resurrection for the life of the world...for us chief of sinners. Jesus' death and resurrection is the greatest because it is both meaningful and true. It is history. Jesus was crucified for us under Pontius Pilate. It is a verifiable, falsifiable, and defensible fact. And yet, Jesus' death and resurrection do not cease to be a good story, one that possesses beauty, meaning, and true hope. As C.S. Lewis said, myth became fact. Those who do not know that this great myth became Fact when the Virgin conceived are, indeed, to be pitied. But Christians also need to be reminded - we may think Corineus for reminding us - that what became Fact was a Myth, that it carries with it into the world of Fact all the properties of a myth. God is more than a god, not less; Christ is more than Balder, not less. We must not be ashamed of the mythical radiance resting on our theology. We must not be nervous about 'parallels' and 'Pagan Christs': they ought to be there - it would be a stumbling block if they weren't. We must not, in false spirituality, withhold our imaginative welcome. If God chooses to be mythopoeic...shall we refuse to be mythopathic? For this is the marriage of heaven and earth: Perfect Myth and Perfect Fact: claiming not only our love and our obedience, but also our wonder and delight, addressed to the savage, the child, and the poet in each one of us, no less than to the moralist, the scholar, and the philosopher. C.S. Lewis, Myth Became Fact in God in the Dock,. Eerdmans, 1970, p. 67. To Lewis's list I would also add that of director and author, film and literature. For the more I thought about all of this - Saul's death and resurrection, our own in Christ - the more I was reminded of the manifold death and resurrection stories in film and literature. This is but a small list, and one that I hope will grow over time. Thanks to my good friends on Facebook for your contributions below. Feel free and add yours in the comments below. Gandalf in The Lord of The Rings, The Two Towers specifically. Chief Brody in Jaws. He goes under the water, he comes up out of the water, and then blows the shark to bits with a well-placed shot to an oxygen cannister. Just like in baptism. As I was scrolling through my social media feed this weekend, I came across this little quote attributed to George R.R. Martin, of Game of Thrones fame. I say "attributed" because, as the great Abraham Lincoln once said, "You can't trust everything you read on the internet." However, it certainly sounds like something Martin could have said, given his influences from Tolkien in his own fantasy writing. I'll admit that I've not read nearly enough of Martin's writing to know the context of this quotation. But a couple of possibilities come to mind. At first glance, this quotation could be interpreted as a pejorative against Christianity. And perhaps it is. This is where the context of this quotation would greatly help in elucidating Martin's original intent. However, I think even on its own, it contains an important seed-grain of truth. What do I mean? Well, think about it this way. Try turning Martin's words into a question: Can you find heaven in Middle-earth? Is there something in Tolkien's sub-created literary world which evokes the heavenly. Yes, in fact there are several that come to mind immediately: the Elves, Lothlorien, the Valar, the Istari (wizards), the Undying Lands, the Silmarillion in many parts, Rivendell, the Grey Havens, the Eagles, and of course, the Shire. If there is one place I would visit in all of literature, Hobbiton would be my first choice. The verdant rolling hills, simple life, humble hospitality and joyous nature of the Hobbits is endearing as Tolkien's world is enduring. 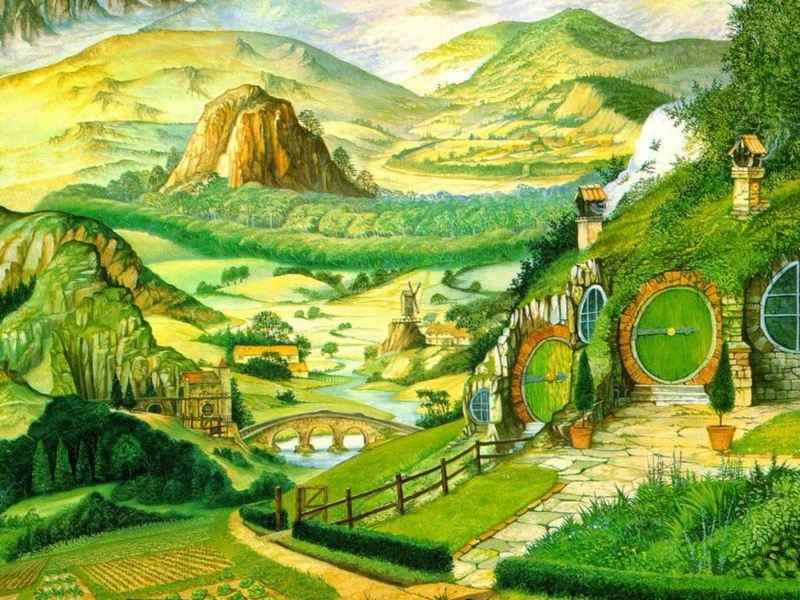 Out of all the glimpses of an eternal paradise in the Primary World, Tolkien's depiction of the shire in his sub-created world is the one that I think most closely gives us a glimpse of the new creation which is ours in Christ Jesus. Martin's quote further reminded me of one of the great joys of reading the Inklings. These Christian authors produced some of the best that literature has to offer. Their imaginative work has stood the test of time, not only as excellent literary works full of adventure, fantasy, and myth, but also because they point the reader to something outside of their magical pages. I happen to think you can find heaven in Middle-earth, or in Narnia, or in the inter-galactic travels of a certain philologist. In many (though not all) works of literature we see Christianity and Scripture's teaching on the heavenly by way of glimpses, or seed-grains scattered and planted throughout the pages of great works old and new. Quite often the myth points us to the reality. 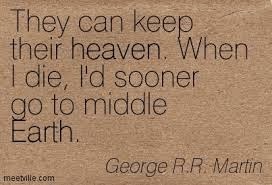 So in a way Martin right, you can find heaven in Middle-earth. The added joy in Christianity is that you get both the myth and the fact, the shire and the true new creation. And I think Bilbo would agree; his Last Song points the way. Bilbo's Last Song. J.R.R. Tolkien. Hutchison Press, Great Britain. 1990. Sermon for The Confession of St. Peter: "Who is Jesus?" Who are you?! Come on, I really wanna know. Who are you? That seems to be the question – in Jesus’ day and ours. Now, as readers of Mark’s Gospel we already know the answer. Mark 1:1... The beginning of the Gospel of Jesus Christ, the Son of God. St. Mark lets us in on the divine secret – Jesus is the Messiah, the Christ, God’s promised chosen Savior for you, for the world. Meanwhile, Jesus conceals this confession from the players on stage in the greatest drama of history, at least until his death and resurrection. To be sure, there are epiphanies along the way: Jesus’ Baptism, the blind man’s healing, raising Lazarus from the dead, calming the wind and waves, teaching with authority, his transfiguration. But in Mark’s Gospel, it’s not until a pagan Roman centurion at Jesus’ crucifixion that his true identity is revealed for all to see: Truly this man was the Son of God. How right he is. In the cross Jesus reveals the kind of Messiah he is: a suffering Servant for you. A prophet. A teacher. A wise man of God, but certainly not God. Not much has changed in 2000 years. Ask a Mormon who knows their Book of Mormon or a Muslim who knows their Qur’an, or an Atheist and they’ll say the same thing: Jesus was a prophet, a wise man, a teacher, maybe even a man of God, but certainly not God. These are just a few of the false Jesuses out there. C.S. Lewis said there are really only three answers. Jesus is a liar, a lunatic, or Lord. A man who was merely a man and said the sort of things Jesus said would not be a great moral teacher. He would either be a lunatic – on a level with the man who says he is a poached egg – or else he would be the Devil of Hell. Either this man was, and is, the Son of God: or else a madman or something worse. You can shut him up for a fool, you can spit at him and kill him as a demon; or you can all at his feet and call him Lord and God (Mere Christianity, p. 52). Peter answers the question rightly by divine gift. And the Church in every generation must also answer Jesus’ question. Contrary to our relativistic culture, words matter. It’s true in our every-day pattern of speech: for example, gentlemen, when your wife asks you how she looks in a particular outfit, you will choose your words carefully. How much more important then, are the words we use whenever we confess who Jesus is and what he’s done for us. Because how we answer Jesus’ question says a lot about our confession of faith. We believe it really matters, not only what people believe in their hearts, but also what they confess with their lips. Jesus is the Christ, anointed to be your Savior at His baptism in order to anoint you with new life by the Spirit in your Baptism. Jesus is chosen by the Father to be the Messiah, the Chosen one, in order that by His birth, life, death, and resurrection he declares that you are His chosen people. Jesus is born in order to give you the new birth of washing and regeneration in the Holy Spirit through Baptism. Jesus is placed under the Law to obey, fulfill, and suffer the punishments of the Law for us who must confess, along with Peter that we fail to keep it daily. Jesus died to destroy your death. Jesus rose from the dead and lives to give you new life in His saving name we confess today along with St. Peter: You are the Christ. Wherever this confession is found, there’s the Church. And just as he did for Peter, Jesus places our hope and trust, not in ourselves, nor in what we say, do, or have done, but in Christ’s words and deeds for us. What Jesus has done for you, is doing, and will continue to do for your salvation. When you read about the Christian church growing in the book of Acts it’s always because of this confession. Peter’s and ours: Jesus is the Christ. Wherever you see the Church - as we do in Acts 2:42 gathered around the apostles’ teaching, the liturgy, the Lord’s Supper, and the fellowship of believers – there you see the church flourishing around this confession. And as important as it is for us to answer Jesus’ question, it’s also important to hear how Jesus answers his own question. Who does Jesus say that he is? The Son of Man must suffer many things and be rejected by the elders and the chief priests and the scribes and be killed, and after three days rise again. This is the kind of Messiah Jesus is: For the Son of Man came not to be served but to serve, and to give his life as a ransom for many. (Mark 10:45). Jesus enters into the pain and suffering of this world, he takes on our sin and death in order to rescue us from pain, suffering, sin, and death. It is a radical rescue that takes nothing less than the death of the Son of God to accomplish. Jesus’ cross is your salvation and your solace from the severity of your sin. Jesus’ cross is the clearest answer to the question: Who does Jesus say that he is? And yet, after Peter made that good confession, he took Jesus aside and tried to rebuke him for saying he must suffer and die. Peter’s rebuke is a warning to us; we need always be on guard against losing our confession and falling away from the faith. Satan tempts us the same way he did Peter: to set our minds on the things of man; to avoid the things of God; to point us away from Jesus crucified for us, away from his suffering and death on our behalf and onto something or someone else. Some churches do it by the way they worship, or by replacing the meat and potatoes of God’s Word with entertainment and self-esteem building. The devil has many tricks, but the game is always the same: out with Jesus and in with our favorite idol, ourselves. Thank God for Jesus’ rebuke of Peter’s sin and ours, for by it we come to confess the truth all the more clearly and boldly. Thank God for Peter’s confession. For Peter teaches us to confess Christ rightly. Jesus says, “You are Peter – that is rock – and on this rock, that is Peter’s confession, Christ builds his church. The church is built on this confession: Jesus is the Christ. Through Peter’s confession and because of it, we are able to confess that we too believe in the one, holy, catholic, and apostolic Church. We confess with Peter, Jesus is the Christ, the one who suffered for me, was crucified, died, and was buried for me, who rose and lives for me, who is present in his Word and in his Supper, in my Baptism and in the absolution for me. The same faith which the Father of Jesus worked in and revealed to Peter, the Spirit of the Father also works in each of us. Who is Jesus? He is the one baptizing you through his servant the pastor. He is the one absolving you in the stead and by the command of his servant of the Word. He is the one giving you his body and blood in the bread and wine to forgive your sin. Jesus is the Christ, who suffered, was killed, died and rose for you. Sermon for the Baptism of Our Lord: "Baptism Basics"
Today we’re blessed to have our preschool families with us. Preschool is a time for many things: play-time, snacks, learning, Kleenex boxes (lots of them), more snacks, more playtime, and more learning. One of the greatest ways we learn as children (no matter the age) is by learning the fundamentals. The fundamentals of counting and language: 1-2-3s and A-B-Cs. The fundamentals of social behavior: how to stand in line and share toys in the sandbox. But most important of all, the fundamentals of the Christian faith: Our sin. Our Savior Jesus. Creation, Fall, Redemption. The 10 commandments, the Apostles’ Creed, the Lord’s Prayer, Baptism, Absolution, and the Lord’s Supper. We learn the Christian faith in a similar way. Lutherans use the Small Catechism, a little booklet, less than 30 pages. But there’s no better summary of the Christian faith for teaching God’s children (no matter the age) the fundamental teachings of Scripture: the 10 commandments, Apostles’ Creed, Lord’s Prayer, Baptism, Absolution, and the Lord’s Supper. The Table of Duties. We could make our own poster: “Everything I need to know I learned in Catechism class.” That doesn’t mean you stop learning and growing in the Christian faith, or that everything outside of the Catechism is unimportant. No, there’s no graduation from the Catechism; you don’t receive a diploma when you are confirmed. Rather in the fundamental teachings of Scripture give we have a firm foundation upon which everything is built. 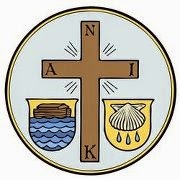 So today, as we celebrate Baptism: Jesus’ baptism and ours, we go back to school in way. As we celebrate Jesus’ Baptism, we also celebrate and rejoice in our Baptism. Baptism is not just plain water, but it is water included in God’s command and combined with God’s word. When we wash we use soap and water. But a minute later our hands are already dirty. It’s an imperfect, but good reflection of our sin. Like Lady MacBeth, no matter how many times we try to wash our sin away on our own, we cannot wash out that (damned) spot. But when God washes us in Baptism with water and His Word you have a sure promise. God’s Word washes your sin away. Baptism forgives your sin. Baptism gives you the Holy Spirit. Baptism is for all children of God, no matter the age. Scripture teaches us that all are conceived and born in sin and are under the power of the devil until Christ claims as his own. Jesus gives us the new birth we need through Holy Baptism. 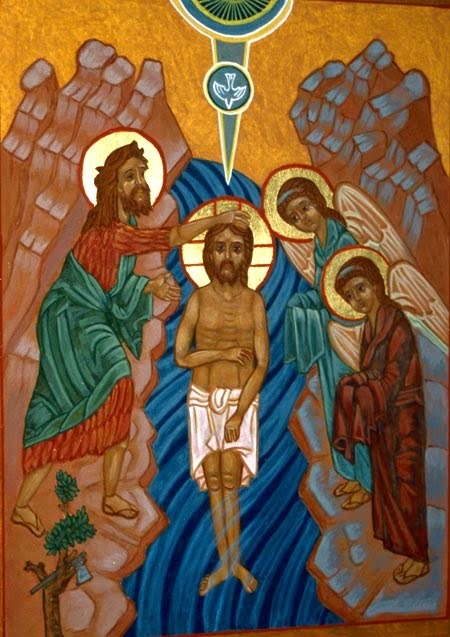 In Holy Baptism you are born from above, a new birth by water and the Holy Spirit. You are made God’s own child. Baptism is your second birthday. (and we should celebrate it that way too, with songs and candles and joy) where you’re born into heaven. This is why Jesus was baptized in the Jordan River. Though Jesus had no sin to wash away, he stands in the water for you. 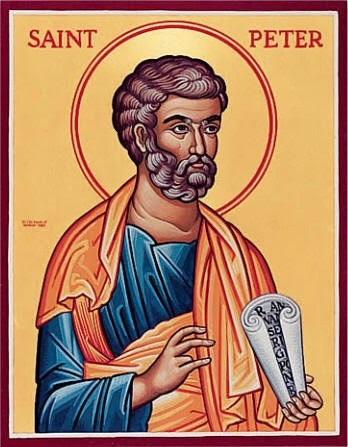 St. Matthew says it’s to fulfill all righteousness. Jesus chose to receive a sinner’s baptism to be baptized with sinners and for sinners. Although he is sinless, he is baptized to bear our sin and carry it all the way to the cross. It works forgiveness of sins, rescues from death and the devil, and gives eternal salvation to all who believe this, as the word and promises of God declare. Holy Baptism gives you faith in Jesus. Holy Baptism saves us from the condemnation which our sins rightfully deserved. Holy Baptism, like faith, is a gift. As parents, we want to give our children what they need: education, food, water, shelter, and the like. We provide for their needs as God calls us to. So, why not give them the best gift God has given us: Baptism? For if we so lovingly care for our children, how much more does our Heavenly Father care for each of you. This is how Christ loves us. He puts himself into the waters of the Jordan so that He can put himself and his Word into the waters of your Baptism. Indeed, there is something in the water: God’s Word in 1 Peter 3, which promises: Baptism…now saves you, not as a removal of dirt from the body but as an appeal to God for a good conscience, through the resurrection of Jesus Christ (1 Peter 3:21). It indicates that the Old Adam in us should by daily contrition and repentance be drowned an die with all sins and evil desires, and that a new man should daily emerge and arise to live before God in righteousness and purity forever. In Holy Baptism God gives you new life through Jesus’ death and resurrection. God’s wrath was poured out on Jesus so that all of God’s promises are poured onto you in Baptism. Jesus exxhanges your filthy rags of sin for a white robe of His righteousness. The blood and water from Jesus’ pierced side is poured into Baptism to save you. And because Jesus crucified and risen is "the someone in the water and the something of his word is present, something else is in the water: you are. The Spirit’s descends upon you. Heaven is opened to you. You are given hope in one Lord, one faith, one Baptism, one God and Father of us all (Eph. 4:5). And He declares his blessing to you: You are my beloved sons and daughters, with you I am well pleased. Because when it comes to Jesus’ Baptism and yours: There truly is Something in the water for you, Jesus’ Word. And there’s Someone in the water for you: Jesus your Savior. 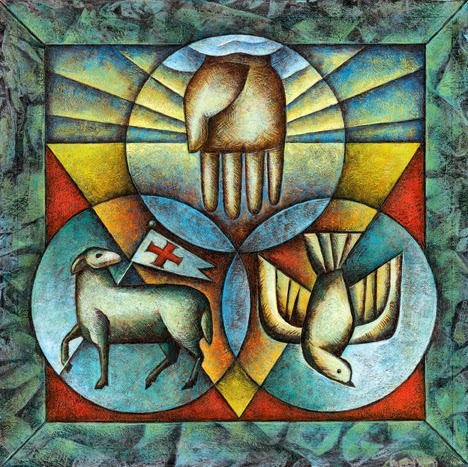 Epiphany Sermon: "Epiphany Reveals Your Savior"
Sermon for Christmas 2: "Wisdom Incarnate"